7 seat multiplayer blackjack dealt from an 8-deck shoe. 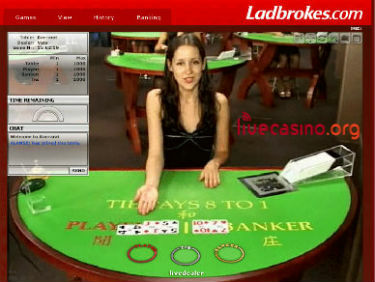 Ladbrokes have a number of dedicated blackjack tables on the Evolution Gaming studio floor. Limits vary widely and cater to both low and high rollers. Simple Punto-Banco baccarat with Banker (0.95:1), Player (1:1), Tie (8:1) and pairs bets offered. Both standard (pictured) and VIP baccarat with higher limits available. Prefer your dealers older, male and British rather than young, female and Latvian AND your limits very high? 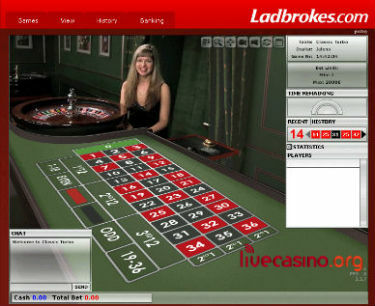 Then give London Live Roulette a go - available at Ladbrokes live casino. It's hard to overlook a company that's been serving players for over a century, and which has enthusiastically embraced live casino games by offering customers the choice of two distinct live casinos. 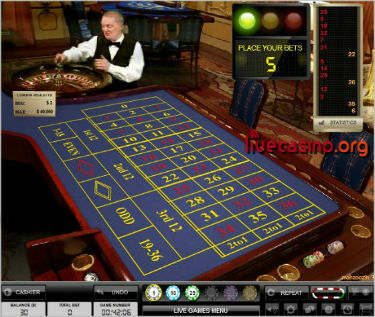 Their main casino, the one launched when you hit 'Play Now' at Ladbroke's live casino page is powered by Evolution Gaming. 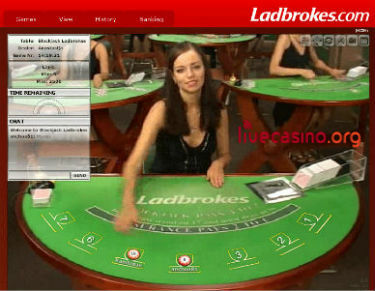 In here you'll be able to play the general floor tables, or Ladbroke's dedicated tables exclusive to Ladbrokes players. Either way, you won't believe how gorgeous the dealers are!